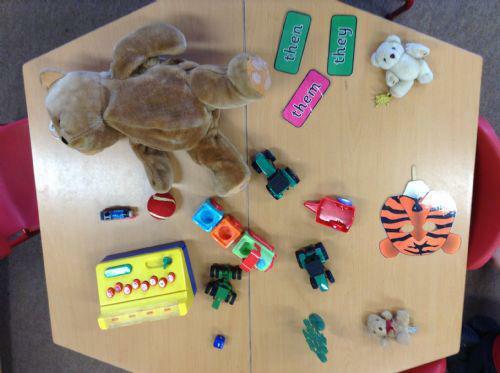 This week our sounds have been 't' and 'i'- we collected things from around the classroom beginning with 't'. Some of the children made a collage of items beginning with 't' and we've looked at our 'Alphabet Zoo' book for objects and animals starting with'i'. We have been practising how to write the letters t and i. A group of children have taken fabulous pictures of some of the features of the homes around the perimeter of our school. Then the group made labels for the pictures on the laptops.